The Creation of Adam is a painting by Michelangelo, which forms part of the Sistine Chapel's ceiling, painted in 1508–1512. 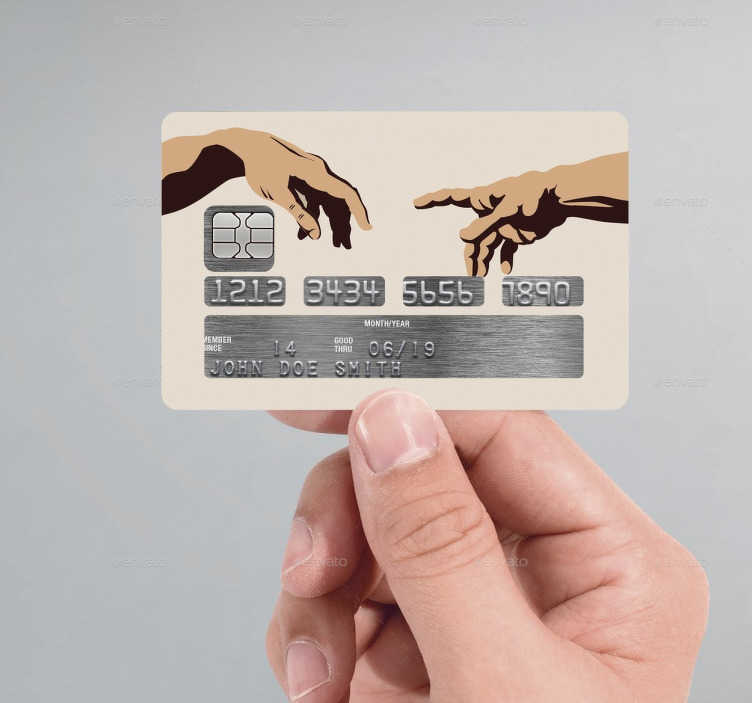 Now it can be part of your credit card with this credit card sticker. The sticker is perfectly cut to fit your credit card, while also displaying the necessary information.